Over the years, as products and consumer tastes change, there is a need to review the branding and design direction at certain points. 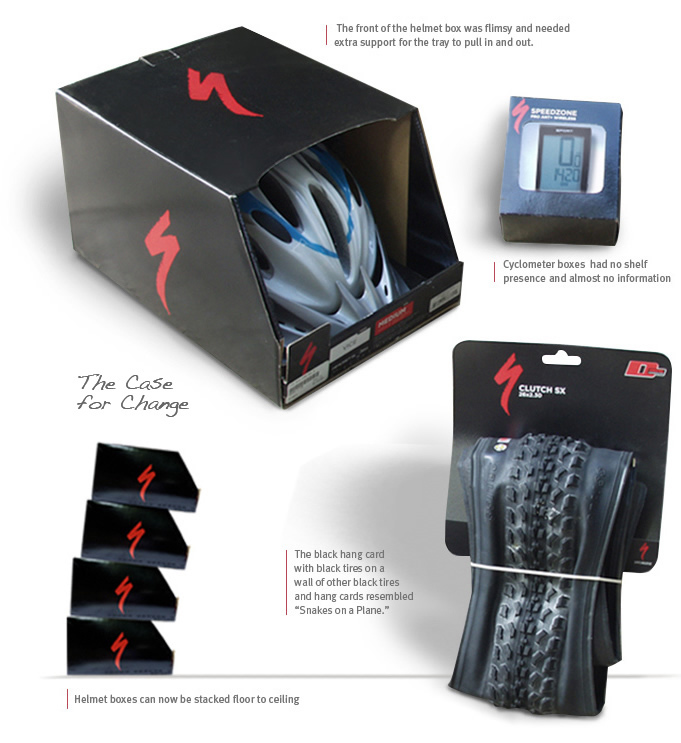 When we started reviewing the Specialized packaging, the first challenge was getting the helmet boxes to stack 4 or more high without falling over and crushing the front of the boxes (Crucial for bike shops with limited space). The front of the box was brought all the forward without cutting much visability. Next, side vents were added so the customers could see the helmets while still in the box.